When the students in Winchester University's Logic and Reasoning 204 arrive for their first day of class, they are greeted not with a syllabus or texts, but with a startling assignment from Professor Williams: Find a hypothetical missing girl named Polly. If after being given a series of clues and details the class has not found her before the end of the term in six weeks, she will be murdered. At first the students are as intrigued by the premise of their puzzle as they are wary of the strange and slightly creepy Professor Williams. But as they delve deeper into the mystery, they begin to wonder: Is the Polly story simply a logic exercise, designed to teach them rational thinking skills, or could it be something more sinister and dangerous? The mystery soon takes over the lives of three students as they find disturbing connections between Polly and themselves. Characters that were supposedly fictitious begin to emerge in reality. Soon, the boundary between the classroom assignment and the real world becomes blurred--and the students wonder if it is their own lives they are being asked to save. WILL LAVENDER is a writing and literature professor and holds an MFA in creative writing from Bard College. He lives in Louisville, Kentucky, with his wife and children and is currently working on a second novel. "Obedience is evidence that crime fiction is hardly a played-out genre …. [G]rafts the world-turned-upside-down suspense of a Harlan Coben thriller to the hall-of-mirrors vertigo of a novel by Paul Auster …. [I]ts ultimate implications continue to spin out in a reader’s mind after the final page is turned." 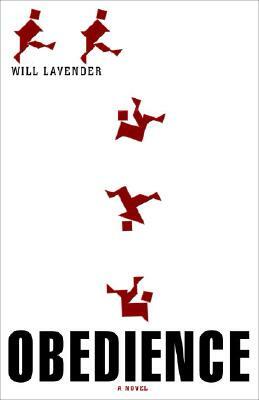 "Obedience is a fiendishly clever thriller, debut or no, and Lavender exhibits deft control at the wheel." "Obedience is a full course load of sinister fun." An inspired thriller about cognitive dissonance, conjectural misdirection and the conspicuous dichotomy between academia and the real world." "In his dream-like and labyrinthine debut, Will Lavender delivers a clever, intricate page-turner that kept me guessing late into the night. Obedience is a house of mirrors where every corner we turn is a false reflection of the truth until the shocking final scene. A gripping exploration of human nature and all its foibles told in Lavender's fresh and original voice, Obedience is not to be missed." "A taut and timely thriller that explores the dark side of academia, where classrooms are dangerous and paranoia abounds." "A taut, clever puzzle, so artfully crafted and tightly wound that it springs open its trap when you least expect it to." "A devilishly inventive debut that reads like a house of mirrors. Nothing is what it seems, right up to the devastating finale."